One of my favourite things about university is the amazing sport and society community and the many clubs within them. Last year during my first year of university I joined the Mountaineering group and I'm so glad I did as it's provided so many amazing trip opportunities (such as going to Snowdon) that I wouldn't do on my own accord. Last week we took a trip to Helsby Hill and my goodness it's such a pretty place. I took so many beautiful pictures that I couldn't not share them with you all on my blog. We set off from the University of Chester at around 3:00pm and arrived at Helsby by 3:30pm. After we all met up and organised ourselves (as some others travelled via train) we set off and started to walk up Helsby Hill. At first it's quite steep but after a while it levels to a comfortable incline making the walk a really lovely peaceful walk. We decided to walk the long way round as we walked up it a lot quicker than expected. I'm glad we made this decision as it allowed us to witness more beautiful views within Helsby. When we made it to the top of Helsby Hill, we were welcomed with a fantastic view of the whole of Helsby and the surrounding areas of Helsby. We planned our walk so that we would witness the sunset and it was gorgeous. I have never properly planned something around a sunset so it was lovely taking the time to stop and admire the sunset in all its glory. Moments like this remind me of how lucky I am to live in such a gorgeous country, we really are spoilt with nature and views that I don't believe we admire enough. I really enjoyed this walk and I would 100% recommend it if you live in the Cheshire area or visiting the Cheshire area soon as it's just such a lovely, peaceful walk to do. I'm now determined to take part in more of these walks as I love them so much. I also want to go on more walks near by to me, whether that's on my own, with Matt, with a friend or just with my mum and sister. There are so many places I want to explore. 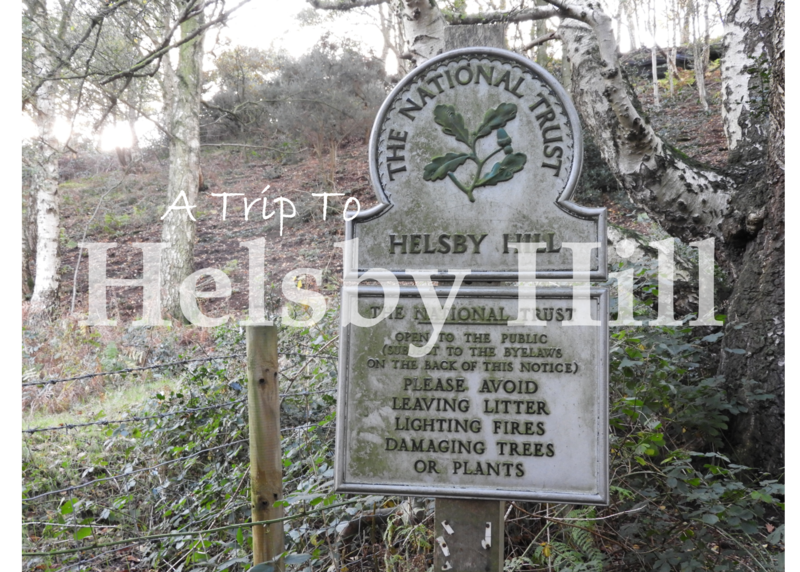 Have you visited Helsby Hill before? What places would you recommend being a great place for walks? You take such stunning pictures! I'm glad you enjoyed your walk!! Looks gorgeous and very familiar, I feel like I've been there before but I don't know when and I'm sure I haven't been on any walks in that neck of the woods. Who knows! I love National Trust sites though. this post reaaaally makes me miss university, i loved the freedom you had to get out and about all the time with friends - damn working a 9-5!! This sounds like such an awesome society to be part of and definitely something I'd love to sign up to - I'd love to do Snowdon but, like you, I'm not sure I'd do it of my own accord! Helsby looks stunning and those views look positively incredible! There's nothing lovelier than a beautiful Autumnal walk and coming home to a big glass of merlot and a roast dinner!